Culture: The Aburame clan is known for their reserved and often solemn disposition. They are usually not forthcoming and tend to be very serious and short-spoken. They have a large amount of respect for all forms of life, even those as small as an insect. History: At birth, members of this clan are offered to a special breed of insects as a nest, residing just under their host's skin. These insects will then live in symbiosis with their host from that point on. Because of this, its members are characterized by their use of insects as weapons. The Aburame clan has lived for generations like this and it has proved to be an effective form of survival. Description: The Aburame technique for hosting insects inside their bodies. This allows them to control the insects with their will in exchange for the insects feeding off their chakra. The user can use these insects in just about any way imaginable, and their supply is only limited by their own chakra. Initially an Aburame member starts with 1 type of insect within their body, however they are capable of hosting more. Because of this, the types of insects an Aburame hosts are actually treated as their "Elements". Aburame are unable to learn any kind of element, as it interferes with their chakra nature and the bugs within their body won't consume it. Instead of learning Elements, Aburame can host different types of insects. The type of insect is treated as a normal Focus: it can be learned, trained, and even mastered. 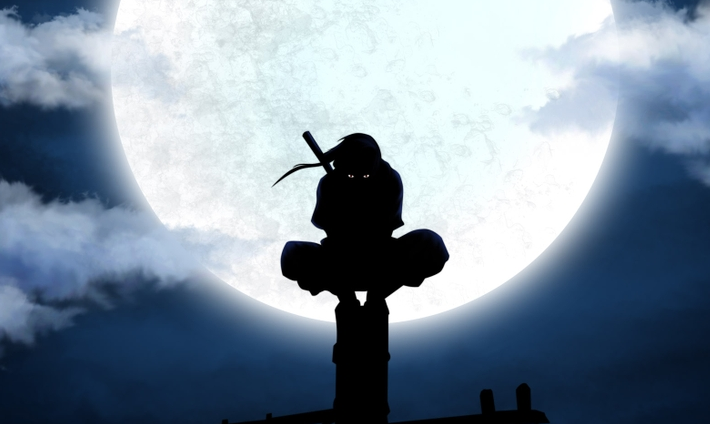 Desciption: Kikaichū are known as the Aburame clan's primary "parasitic insects". These insects are small and very similar looking to beetles. They are used mainly in large swarms and can serve a number of different purposes such as forming shapes (a giant hand, for instance), binding an opponent, blocking attacks, or literally eating someone alive. Kikaichū are unique among the Aburame insects in that they have the ability to also drain chakra if commanded to do so. Mastery: Rapid Breading- Due to their massive numbers and short life span, an Aburame who's mastered their control of Kikaichū can have them be resilient to almost anything. Kikaichū jutsu can take the type "Resistant(X)", where X is the name of a Focus. Jutsu using the Focus X receive -20% when clashing with Resistant(X) jutsu. Desciption: Kidaichū are very similar to Kikaichū in many ways. They look almost identical and can be used in just about all of the ways Kikaichū can. The main difference is that Kidaichū cannot drain chakra, however instead they are able to grow to much larger sizes. Kidaichū can grow to be nearly 1.5 meters in length, making them significantly larger than any of the other Aburame bugs. This allows them to be able to fight on their own without the need for massive swarms, or even make a sneak attack by positioning a small Kidaichū and having it grow. Mastery: Self-Sustaining- Kidaichū are capable of healing their own wounds to some extent, allowing the user to conserve chakra. Kidaichū jutsu can take the type "Sustainable". Sustainable jutsu pay 30% less for maintenance cost, however still regain the same number of levels per post. Desciption: Dokuchū are also known as nanoscopic venomous beetles. 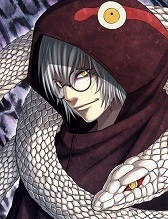 Unlike the other insects used by the Aburame, the host does not have complete control over these insects. They are unable to fly, making them somewhat limited in their application. Additionally they will infect anyone they touch, be it friend or foe. Dokuchū have the advantage of being incredibly dangerous however, as they are very difficult to get rid of and will deteriorate flesh within seconds. 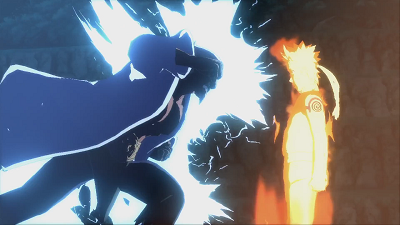 Because of this, Dokuchū justu can cause damage as if they were 200 levels higher (included in jutsu description). Additionally this damage is treated as if its another 200 levels higher when being treated by Medical jutsu. Mastery: Moderate Control- Those who've mastered Dokuchū are able to command their beetles to retreat. 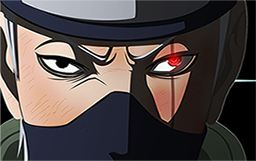 If an ally (or anyone for that matter) is hit by one of their Dokuchū jutsu, the user will be able to prevent the damage if they come to their aid within 1 post (physical contact is needed). Desciption: Bikōchū are a rare breed of insect that are used by Aburame mainly for their sense of smell. They have an incredible ability for tracking, however can be used for many other purposes as well. They can be used for any purpose Kikaichū can except for draining chakra. Instead, Bikōchū have the unique ability that once any of them makes contact with an opponent, the rest of them will be able to find the opponent (through sense of smell) so long as they are within the user's Medium Perception range. 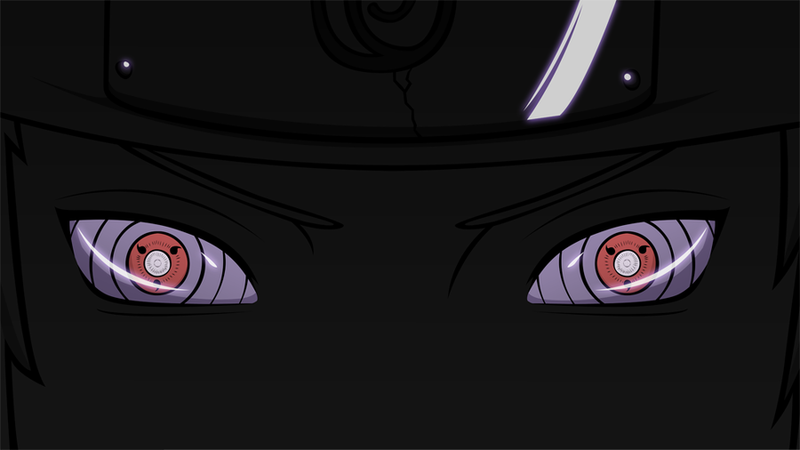 This is treated as a sensory jutsu. Mastery: Strong Sense- Bikōchū can now detect (though not find) a registered target within the user's Long Perception range. Drawback: Aburame are unable to learn any Elements. Additionally they only begin with 3 Focuses rather than 4. One of these focuses must be an insect listed above and the other two must be Specialties. Insects are naturally weak against Katon. Because they feed off the user's chakra, insects require more chakra to use than normal jutsu, and as such cost +30% more to activate. Finally, a portion of the chakra an Aburame regenerates each post is spent on producing more insects. Because of this, an Aburame's normal chakra regeneration rate is reduced by 50. Description: The user releases a number of bugs from all over their body, which then swarm to one of their sides (in front, left, right, or back) to form a cluster. This area is 3 meters in diameter and not very thick, but dense enough to stop a number of attacks. The name of this technique comes from the cluster of insects taking on a shape that somewhat resembles a shield. Description: A swarm of Bikōchū are released from the user and begin flying off in every direction. They fan out up to 50 meters in every direction in an attempt to scan the area. These bugs will touch everything in sight, the only way to avoid them being to go underground, under water, escape the vicinity, or completely conceal one's self physically. The bugs move at 20 m/s. Description: This jutsu causes Dokuchū to rise to the surface of the user's skin, coating their body. Any physical contact with the user will cause the insects to spread and attack, resulting in 3rd degree deterioration to skin/flesh. If contact is maintained in one area for all 3 posts, this can cause 4th degree deterioration. This jutsu will not protect the user from other offensive jutsu, however will still be hindered by them. Amplified(200): Dokuchū will spread from the user's legs onto the floor, coating 2 meters of ground around the user in Dokuchū while this is active. Description: The user instructs two small Kidaichū to rise to the skin of the palms of their hands. They don't surface yet, however remain on the verge just within the user's pores. When the user strikes an opponent, the Kidaichū travel from the user's palm into the opponent. If the user doesn't succeed in striking the opponent on the first post this jutsu is active, it will fail and the Kidaichū will die off. If they are successful, the Kidaichū will burrow into the opponent and find their way into 2 locations chosen by the user. By the end of the second post this jutsu is active, the Kidaichū will begin growing within the opponent while simultaneously eating their way out. If the opponent fails to extract the Kidaichū before this, they will surely die.